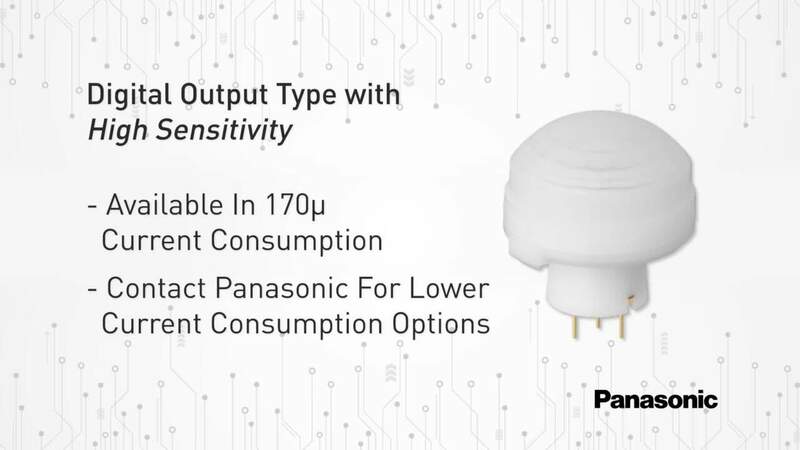 Panasonic Grid-EYE sensors are high precision infrared array sensors in a compact, surface-mount package for intelligent home appliances, occupancy-based energy saving, digital signage, and building automation. Grid-EYE sensors are based on an 8x8 array of thermopile elements, with integrated signal processing, optional averaging, and an I2C interface to output two-dimensional temperature data at 1 or 10 frames per second. This data allows designers to measure temperature and temperature gradients, detect moving objects and the direction of motion, and detect motionless objects. Panasonic Grid-EYE sensors are available in low- and high-gain variants to optimize for temperature detection range and accuracy. The sensor has a 60° by 60° field of view and a 5 meter detection range, with 3.3V and 5V variants.